​Immediately after Erick Oduor and I (David) graduated from college in 2011 and 2010 respectively, we made one of the toughest decisions we have ever made in our lives. We decided to come back to the Obunga slums where we had been raised so that we can create sustainable change in our community. Having seen our parents struggle to educate us and seeing other young people who we grew up with die before their 18th birthday as a result of drug abuse, being beaten by law enforcement officers for engaging in crime, sexually transmitted diseases i(ncluding HIV and AIDs), poverty and stagnant unemployment, we made up our minds to come back so that we can use our knowledge to provide better opportunities for the children, youth and young women in Obunga. We did not know exactly what we would do to help our community and there was immense pressure on us to look for jobs in major towns in Kenya like all our friends and fellow graduates were doing. Most families in Obunga live in single room houses made up of iron sheets with a house occupancy of between 6 to 8 family members. Usually the houses do not have electricity. This means that one cannot study at home after school. Realizing this, we started the Akili library to provide a conducive study environment and textbooks for the children of the Obunga slum. This would help them stay out of trouble after school and during school holidays. They would often come to the library instead of gambling, collecting scrap metal to make money or engaging in other illicit activities for lack of constructive activities in the community. Having watched women struggle so much in Obunga, we decided to empower them to take care of their families. We started Akili prep school in January 2012 and decided to employ only young women as teachers. The school now has 96 children from Pre-K to 1st grade and we employ 4 female teachers. We plan on expanding every year until we get to 8th grade. People thought that we were crazy to come back after college. They wondered what Erick and I were doing at Akili Library with 4 to 9 year old children despite having a good education which would allow us to get “good jobs." ​One major challenge has always been getting the funds to run our programs. This has been made worse by the fact that we are a grassroots group and, as a result, do not attract funds from major donors who often times prefer funding equally established organizations. This month, we launched our new Library/ Reading and IT Room, thanks to Better World Books who awarded us this years’ LEAP Grant for Libraries. I learned about this grant when I emailed Danielle Huffaker, the international coordinator at Limitless Horizons requesting help. She informed me that I should try Better World Books since they had a reputation for assisting libraries. I immediately visited their website and, luckily, found that the LEAP Grants for Libraries 2013 applications were open! I looked at the selection criteria and some of the projects they had funded and I was so encouraged! Most of these projects were grassroots/community projects and they did not have as many restrictions like most funding organizations do. After submitting the application, I kept wondering if we would be successful. 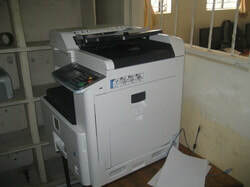 There was a tremendous need for us to complete construction of the Library Reading and IT room. 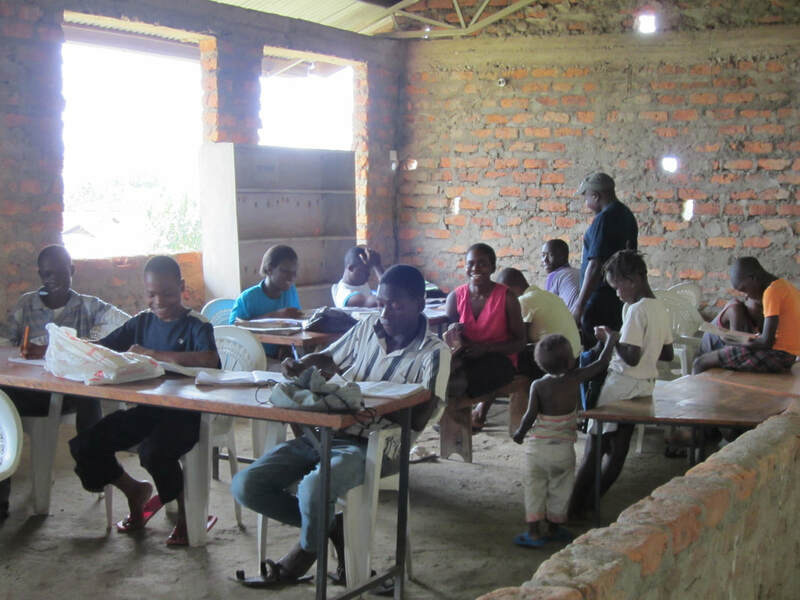 Children and students were studying in an open space located upstairs at Prince of Peace Church, Kisumu. We had just received 10 computers from a local charity but there was no place to put them. 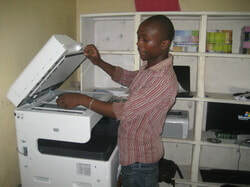 We were also in dire need of a copier/printer that we could use to make copies and printouts for students and members of the community to generate income for the library and avoid over-reliance on donor support. We kept praying every day that God would give us this grant that would change the lives of the children in Obunga slums forever. Every day we would talk about this grant as if we had won it. We would say how we are going to construct a nice reading & IT room, the best in the Obunga slums, and how the children would enjoy using the facility. On May 14th, when the grant winners were to be announced, I stayed up late until 12.00 midnight (due to time difference) eagerly waiting for the announcement that would change the lives of the children and youth in Obunga. It did not come. So I decided to write to John Ujda, a Better World Books official who had emailed me previously confirming receipt of our proposal. I told John that I know that no one at Better World Books knows us, what we do, or our needs. But God does and He can use them to bless our ministry. When I checked my email after 5 minutes, I could not believe what I had read from John!! He told me that the good news is that we had won!!! We had just won about $7,629!!! For a split second I thought I was in a dream! I remember shouting “PRAISE GOD! !” and asking my wife to read the email to confirm that I was not in a dream. Despite it being late in the night, I made a call to Erick and all our friends and shared the good news. Erick and I were so excited, we kept shouting over the phone, praising God and giving thanks. He had done it for us! For about 6 weeks, we have been working with masons, painters and carpenters supervising the construction of the Reading and IT Room. Finally, the construction is complete and the children and youth in Obunga have a reason to smile! 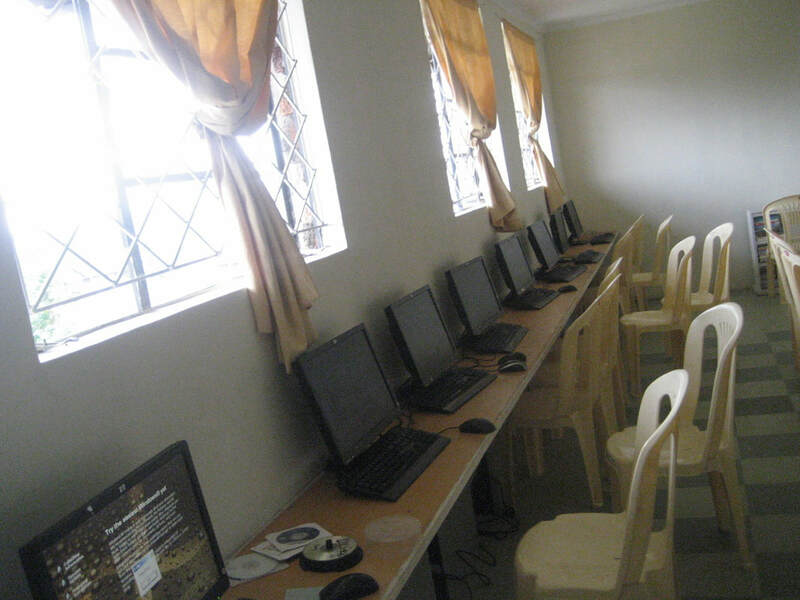 The Akili Library Reading and IT Room is the only one of its kind in Obunga slums. It is complete with 50 chairs and 10 computers and a high tech Kyocera copier/printer. Users can now access e-books and computer services at the library. Finally, the children and youth in the Obunga slums have a nice place to study during the after school hours and throughout the holiday period. Library attendance has been shown to keep the children and the youth safe and out of trouble, and also significantly improve their academic achievement. The Akili Library offers a safe place where children and teens can come to meet their friends, study for school when there is no space at home, read for pleasure, or just feel safe. Older students and graduates will now use the library to give back to the community or volunteer by tutoring and mentoring younger students and training peers on computer applications, among other activities. To other community members the Library is a way to access information, use a computer, spread ideas, complement academic studies, or simply to relax with a good book. Our awesome library, complete with computers!